Plastic pollution has such a far reaching impact, but the effect on wildlife is alarming and sad. There are so many ways plastic pollution can happen; from people carelessly tossing an item on the ground to the wind lifting items from recycling bins or landfills. Whether intentional or not, pollution happens. Plastic pollution is especially perilous for wildlife. Discarded plastic trash can be mistaken for food, especially by marine animals when the litter is floating in water. Plastic pollution can also damage animals habitats and if wildlife becomes entangled in garbage they are unable to fend for or defend themselves. What makes plastic pollution so unfortunate is that it is completely preventable. The negative impact plastic bags have on animals and wildlife can be detrimental to their ecosystem. Plastic pollution does not biodegrade, so once it is there it is there pretty much forever. 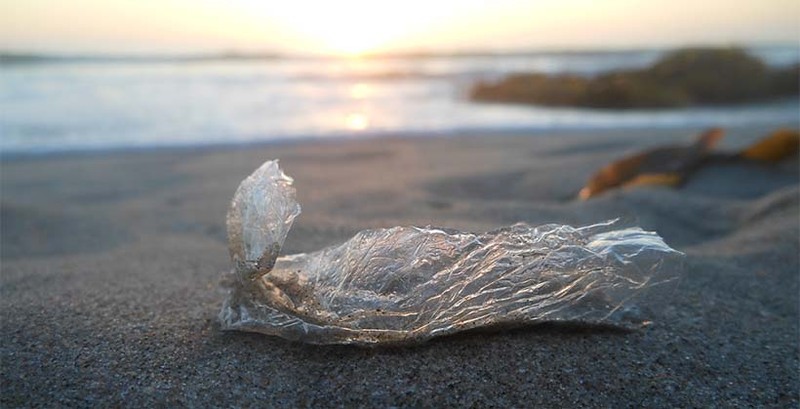 Thin plastic, like single-use plastic shopping bags can resemble jellyfish and this is a serious problem for marine animals that eat jellyfish since this honest mistake can have dire consequences. When large pieces of plastic are consumed they can essentially clog the animal’s digestive system, which can lead to death, or the plastic pollution will take up space, giving the animal a false sense of fullness. Both of these scenarios can lead to a painful and uncomfortable death. When exposed to the elements for enough time, plastic can break apart into smaller pieces. These tiny fragments are easier for marine animals to consume, since they may not even realize they are doing so. The smaller plastic pieces are less likely to block the digestive system, but they are still incredibly dangerous. Studies have shown that chemicals from the plastic have leached into the flesh of the animal, so when an animal eats plastic elements of the plastic can be absorbed into the animal’s body. This is concerning since it can potentially cause problems for the animal, and the species as a whole, but it is also an issue for animals further up the food chain. 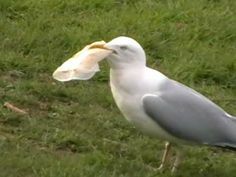 The animal that eats the prey with plastic in it will absorb the plastic tainted flesh, and this is even a concern for animals several steps away on the food chain since the plastic compounds will be passed along. Eating plastic is a major distress, but plastic pollution is dangerous even if it is not eaten. Animals can become tangled in plastic and this can lead to all sorts of problems. If an animal is snarled in a disposable plastic bag they may not be able to breath or eat, and this can clearly lead to death. In other instances an animal may not be able to defend themselves or their young. There are documented cases of animal’s becoming stuck in plastic trash that cuts into their skin, which can cause severe health problems. The impact of plastic pollution on wildlife is so concerning because it can have such a massive reach. There is no such thing as isolated instances of plastic pollution because even if one animal eats some discard plastic or becomes lodged in a disposable shopping bag that changes the natural order of things and that can set of a change reaction that has awful consequences. If your brand wants to help make a difference, please create your own reusable bag for marketing HERE.